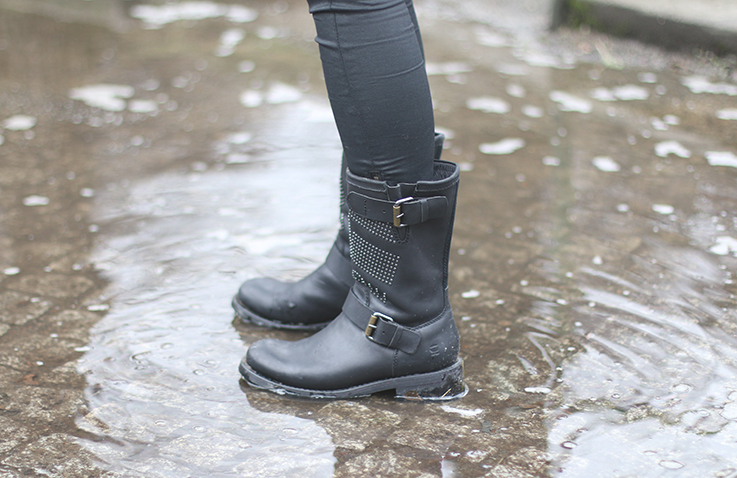 These boots are made for walking – and for playing in a puddle of rain and mudd too! I got them as a belated christmas present from G-Star Raw and I simply love them. 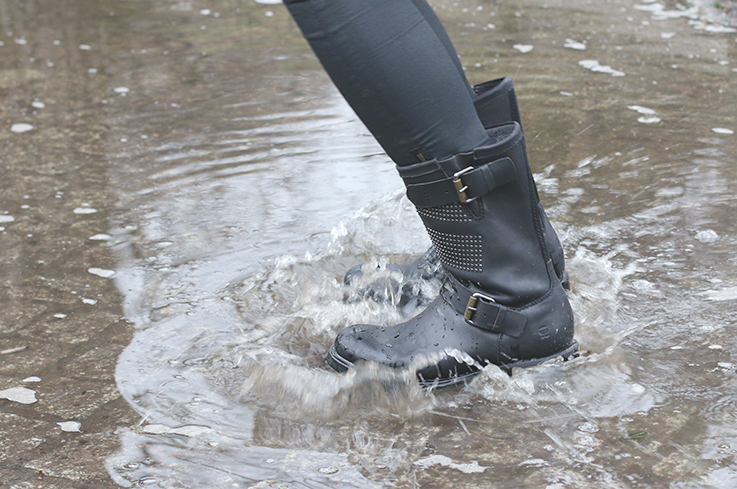 They are not only perfect winter boots, because of high quality and solid leather), but also perfect for such rainy days. I guess you can tell so by looking at the last picture. This look might not be the most fashionable out there, but trust me, it is one damn comfortable look. And who is dressing up too much on sundays… You? I don’t. Love it! Very casual and cool!